What are the federal tax benefits associated with conservation? The federal benefits associated with land conservation are not federal tax credits, but are instead non-cash charitable contributions specifically granted for conservation under Section 170(h) of the Internal Revenue Code. In 2014, this deduction can reduce a taxpayer’s federal taxable income, and it is limited to thirty percent (30%) of an individual taxpayer’s adjusted gross income or ten percent (10%) of a corporation’s federal taxable income. Active and proposed legislation is expected to be passed which would allow for the thirty percent (30%) limitation to be increased to fifty percent (50%), thereby allowing individual taxpayers to further reduce current tax burdens. How are the federal tax benefits received? A taxpayer who becomes a limited partner in a partnership will be allocated their portion of the federal and state tax benefits subsequent to the partnership electing to conserve the property under the terms of the partnership’s operating agreement. How are the federal investments priced? While every project varies, there are general return-on-investment windows that taxpayers generally see from conservation. Federal benefits are typically priced between a 3.0-to-1.0 and a 4.0-to-1.0 ratio. As an example, at a 4.0-to-1.0 ratio, a taxpayer receives $4.00 in deduction for every $1.00 invested. The ratio is dependent on both supply and demand, as well as the other economic and non-economic returns expected in the project. What about state tax benefits, are those available? In most states, the federal benefits can also be taken at the state level to reduce taxable income. Additionally, several states also offer a state tax credit for conservation of land within the state. These tax credits are a direct dollar-for-dollar reduction in state tax liability. Colorado, Georgia and Virginia offer some of the best conservation tax credit programs. How are the state tax benefits priced and how much should I invest? While each state has its own rules and regulations specific to the amount of credits a taxpayer can use in any given year, pricing for these benefits is generally similar from state to state. Tax credits from Colorado, Georgia and Virginia are generally priced around $0.85 per $1.00 of credit. In certain states, taxpayers can buy a certificated state conservation tax credit from a project that has already been conserved. In 2014 individual taxpayers in Georgia can offset up to $250,000 in taxes per year and corporations can offset up to $500,000 in taxes per year. If part of a conservation project, will I have a complicated process when I file my tax return? Not at all. The project manager will provide us with an investment book and web access to documents needed to file your tax return. Credo will simply need to include a few additional forms when filing your return, all of which are included on your secure web folder. What other economic returns on investment can I expect, outside of the tax savings? All conservation projects include significant economic benefits beyond the potential tax attributes. These projects often offer our clients benefits that stem from access and use of the property, including hunting, fishing, golfing, riding horses or ATVs, and hiking. In some instances, naming rights for public parks and green space may also be available. Further, the other potential revenue streams available to all partners may include items such as timber, farming or ranching leases, future land sales from both developable and conserved property. Can I invest in conservation projects every year? Yes, in fact Credo works with many taxpayers on an annual, semi-annual, and quarterly basis. There are two general approaches which our clients typically consider: (1) participating annually or semi-annually in a manner that maximizes the federal and state benefits allowed for the current year; or (2) participating once every two years and carrying-forward unused benefits from the first year to cover anticipated need in the second year. There is no right or wrong answer, so each taxpayer should consider what works best for their particular situation. Will investing in conservation projects increase my risk of audit? While there is no information published by the IRS specific to this point, it is Credo’s belief based on numerous conversations with involved parties around the country that about 10% of all conservation transactions are audited. Based on a study conducted by Forbes Magazine and Vogul Consulting, the average taxpayer making $1 million or greater already has an audit risk of about 14% merely due to their income level. Typically, under an audit, the IRS focused on two key components for conservation transactions: (1) Did the taxpayer properly complete and file the necessary paperwork with their tax return? ; and (2) Was the valuation of the conserved property accurate? To mitigate the first point, qualified tax attorneys and 3rd party, independent CPAs ensure that taxpayers are provided complete, accurate documentation for their tax returns. To address the second point, the projects undergo a two-step valuation process which includes having a qualified, experienced, and knowledgeable conservation appraiser prepare the valuation and then have that appraisal audited by a second outside conservation valuation expert. This process ensures that the correct value has been derived in accordance with IRS regulation. Are conservation projects deemed to be a sale of securities? Taxpayers gaining conservation benefits through a partnership model are purchasing a security as defined by the SEC. Therefore, taxpayers should confirm that any firm offering these investments is duly licensed by these federal regulatory organizations, even if the security itself is a Private Placement. Such firms are required to adhere to stringent SEC and FINRA regulations which have been established to protect investors. Purchasing interests from groups or individuals who are not licensed means that these groups are operating without the proper governmental oversight designed to protect investors. Only certificated state tax credits are deemed to not be securities, and therefore fall outside of the regulatory purview of the SEC and FINRA. What information will Credo need in order to help me better understand how conservation benefits can reduce my tax liability? 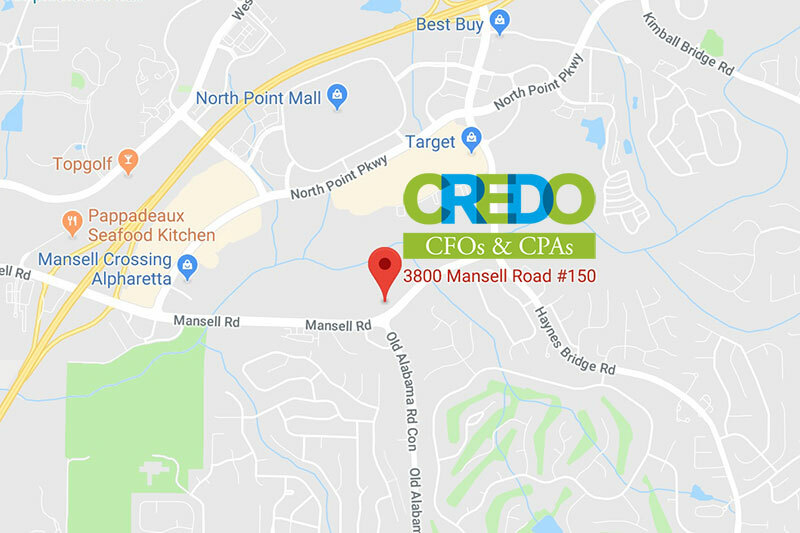 In order to complete an investor benefit analysis for a particular project, Credo will need a copy of the first two pages of your previous year federal and state tax returns, your Schedule A Itemized Deductions, as well as your income projections for the current year. My advisor hasn’t had a client invest in conservation projects before and, therefore, does not seem comfortable. This is actually a comment that many of our clients make after having an initial conversation with any trusted advisor. If this is something you experience, we would recommend that you have your advisor contact Credo directly. We can provide any advisor with any details that they need in order to make an informed decision in providing you with their valued opinion. Furthermore, a majority of tax accountants prefer to function solely as tax return preparers and do not focus on proactive tax- planning opportunities, such as tax credits. Credo is happy to be a value-adding resource for both you and your advisor so that informed, educated decisions are made. When can I expect to make my investment? Taxpayers wanting to mitigate their 2014 federal and state tax liability will need to be part of a project in calendar year 2014 before the property is conserved. Most conservation projects close between early September through December, so taxpayers should plan accordingly and make their investment before projects are fully subscribed for the year. How can I learn more about conservation tax benefits and whether they are right for me? We encourage you and your advisors to contact Credo directly with any questions regarding the benefits associated with conservation easements. It is our belief that only after completing a thorough analysis of the risks and benefits should the taxpayer make a decision. Credo continues to help savvy taxpayers and their advisors implement “Green, Sustainable & Socially Responsible” tax mitigation strategies. This was very insightful and informative.